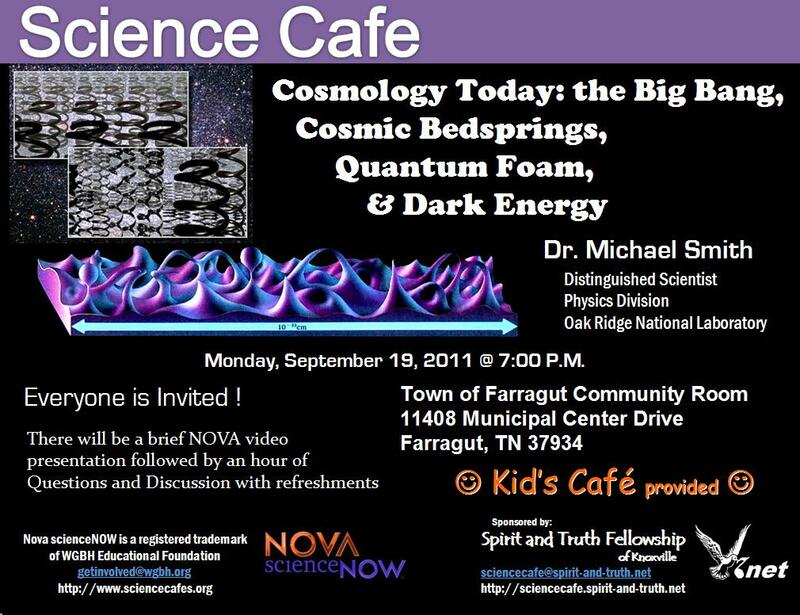 Topic: "Cosmology Today: the Big Bang, Cosmic Bedsprings, Quantum Foam, and Dark Energy"
Date: Monday, September 19, 2011 at 7:00 P.M. Location: The Town of Farragut Community Room located at 11408 Municipal Center Drive, Farragut, TN 37934. The entrance door and parking for the Community Room is located on the right side of the building as one faces the main entrance.